You can experience the greatness of this city on a private tour of Alexandria, a city founded by Alexander the Great in 331 BCE. 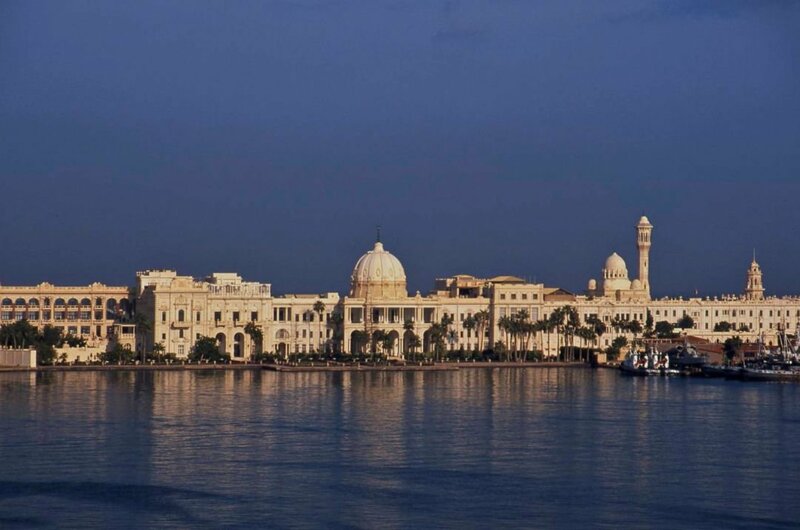 Alexandria is the second largest city in Egypt and has the largest Seaport. 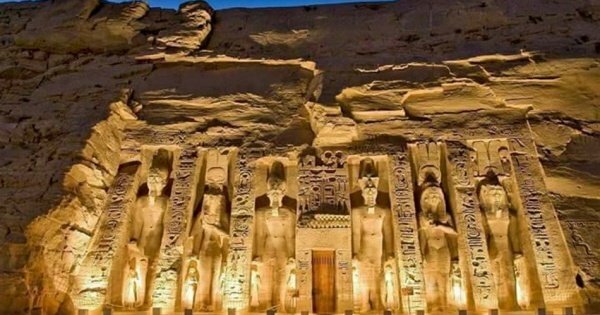 There is no other city in Egypt that can match the rich history found here and the legends! Alexander the Great was the beginning and his successors Ptolemy I and II continued to make history. Ptolemy was responsible for the creation of the Library at Alexandria which was like a university of its time and where Euclid and Archimedes taught. They also had the Lighthouse of Antiquity built on the Island of Pharos at the entrance to Alexandria’s harbour. 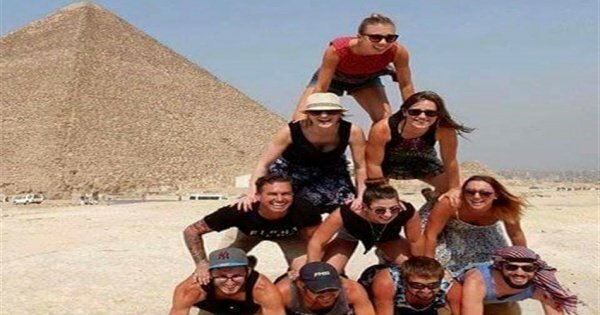 This was to become one of the Seven Wonders of the World until the 12th century. A 15th-century fort was built from its ruins and that still stands today. Alexandria has much to offer any tourists. 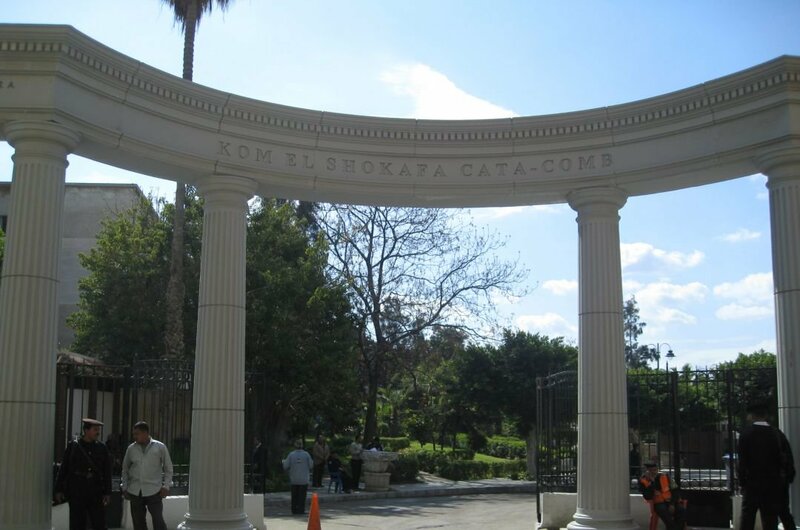 There are the fabulous guided tours to natural wonders or archaeological sites such as Catacombs of Kom El Shoqafa, amazing museums and landmarks but, there is more. Alexandria is a city of ambience and romance. It is the perfect place to sip coffee in old world cafes, take leisurely strolls along the harbour while admiring the belle époque architecture. The local cuisine is something most tourists very much enjoy and it is always well worth trying new dishes. There is no greater compliment to give a chef in Alexandria, than trying their traditional foods. 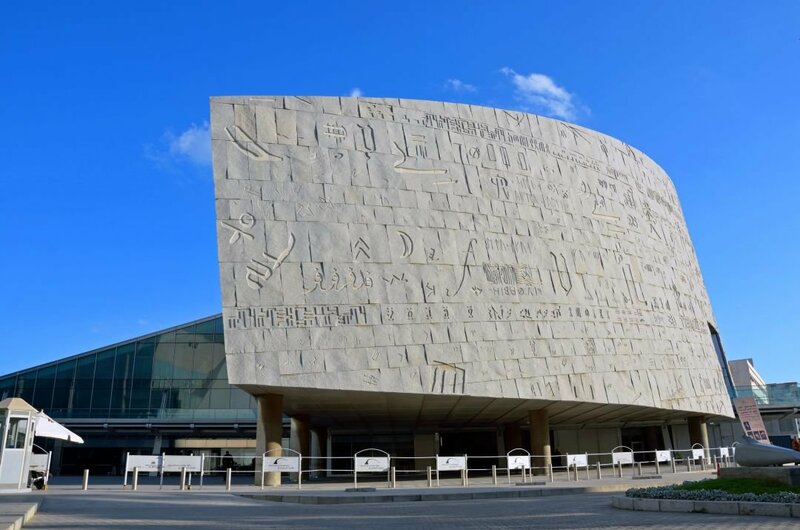 1 Take a guided tour of Bibliotheca Alexandrina which is a reinterpret of Alexandria’s ancient Great Library. The superbly designed cultural centre is home to many museums which includes one of the modern world's most ambitious libraries. The architecture is spectacular and the contents in this building are incredible and fascinating. Visit the Manuscript Museum, Antiquities Museum, Science Museum and Planetarium. 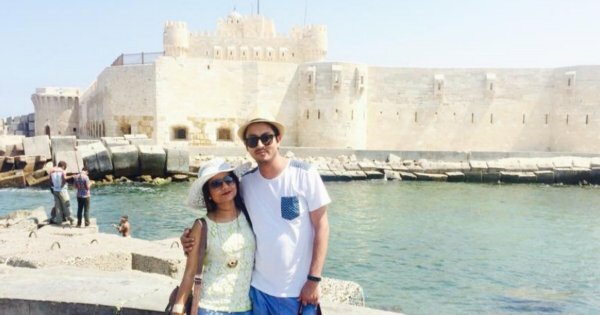 2 On a guided tour of Fort Qaitbey, you are walking where the Pharos Lighthouse, one of the original seven wonders of the ancient world, once stood. The fort has been here since 1480 and is well worth a visit. 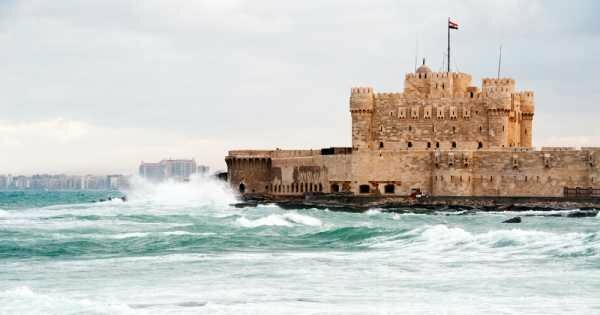 It was built by Mamluke Sultan Qaitbey, as a fortification for the Port from attacks and the remains of the lighthouse were used in its construction. There are a series of stone-walled chambers inside and great views from the roof. 3 While on a sightseeing tour, you will see The Memorial of Diocletian or as everyone calls it Pompey Pillar. This massive red granite Column is the biggest memorial in Egypt being 28 meters in height and a base diameter of 2.7 meters. Named Pompeys Pillar because mistakenly crusaders believed the Roman General Pompey’s ashes were in a pot at the top of the column. Cut completely into the rock at the back of the temple are 2 galleries. 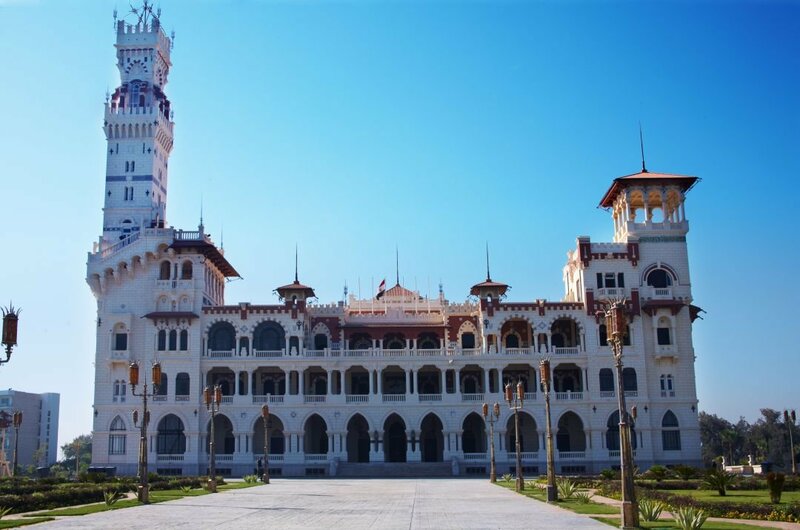 4 On a guided tour of Montaza Palace and Gardens, you will learn a great amount of history going back to1892 and the times of the last Khedive of Egypt and Sudan. 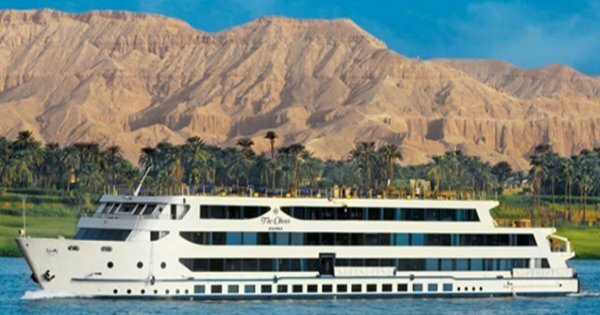 The complex overseas a Gulf and contains five beaches: Aida, Cleopatra, Vanessa, Semiramis and the private beach of Helnan Palestine Hotel. There are great activities like waterskiing, diving and snorkelling or relax on a boat and sails the surrounding waters. 5 Take a fascinating guided tour of the Catacombs of Kom el Shoqafa that are considered to be one of the seven wonders of middle ages. This historical, archaeological site consists of three tiers of chambers and tombs cut into the bedrock. As you go down the winding stairway, you are amazed at how deep the ancient Greco-Romans tunnelled. There were over 300 mummies entombed here. You will be amazed in these stunning catacombs. 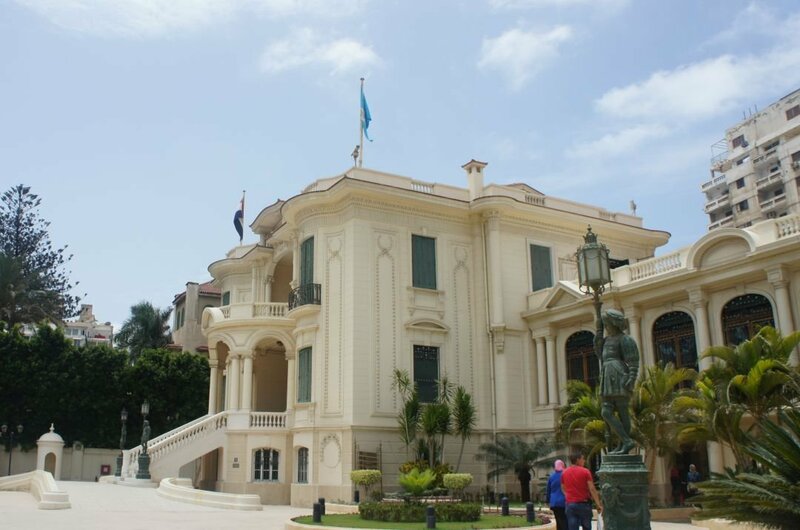 6 On a guided tour of Alexandria National Museum, you are entering one of the finest Museums in Egypt. The museum is located in a palace that was specially restored. With over 1,800 artefacts to see, you will be fascinated and well educated after your tour. In a special underground chamber, you can view the mummies. There are artefacts, now on display, which were discovered in recent years during underwater excavations of Alexandria. 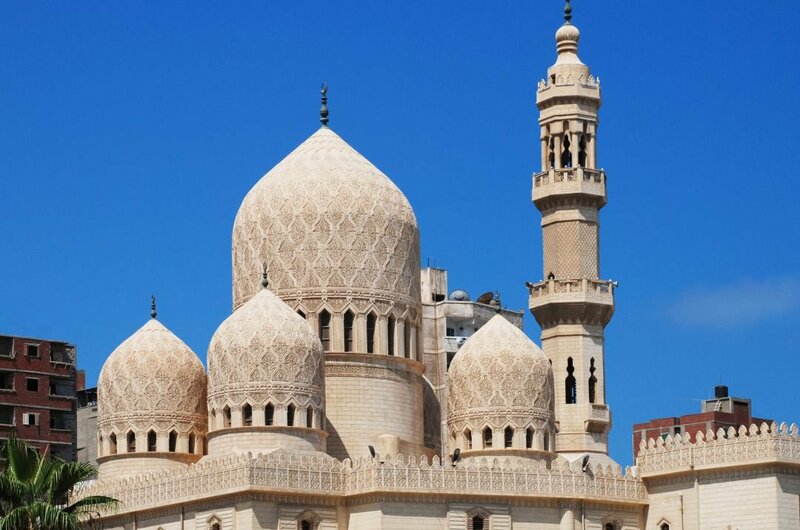 7 Take a sightseeing tour of the most beautiful and most historic mosque found in Alexandria. It is built over the tomb of a Spanish saint and scholar, Abu El Abbas El Mursi. The mosque square looks over the eastern harbour. This is a stunning building adorned in artificial stone with and extra tall minaret on the southern side that offer fabulous views from the top. The interior is rich in decoration and special features. 8 On a guided tour of the Royal Jewellery Museum, you will be intrigued and envious with all the fabulous jewellery on display. 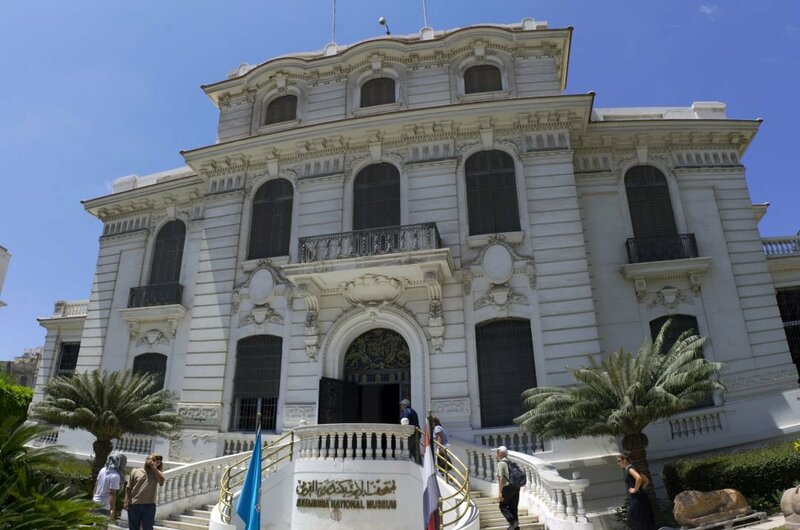 Home to the Museum is an elegantly decorated villa that was once belonging to the first wife of King Farouk. The collections on display are sparkling glitzy artefacts that were once the possessions of the extravagant and excessive Egyptian monarch and his family. There are even diamond encrusted gardening tools! 9 To see Cleopatra’s Palace you have to dive to it and even then it is where there once was a palace. Where once the palace stood are Sphinx and tumbled columns. This extraordinary diving tour brings you to an area off the Eastern Harbour where archaeologists have been doing underwater excavations for years. 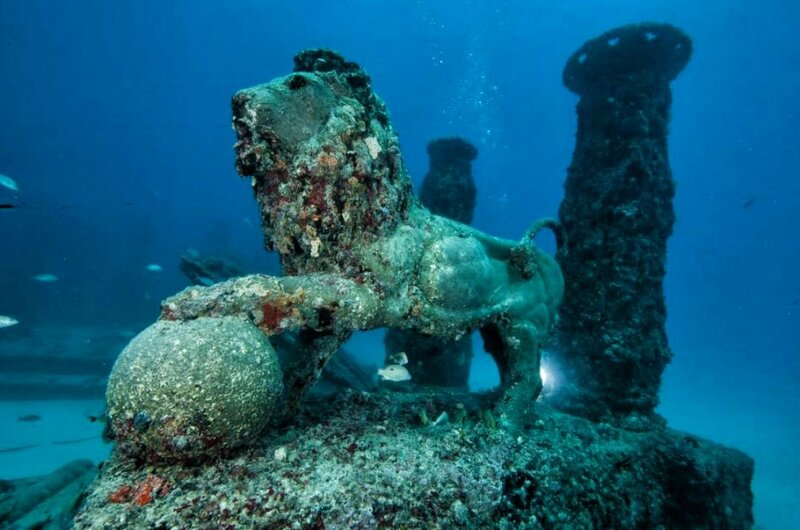 The are searching for the sunken city of the classical age and finding many great artefacts along the way. 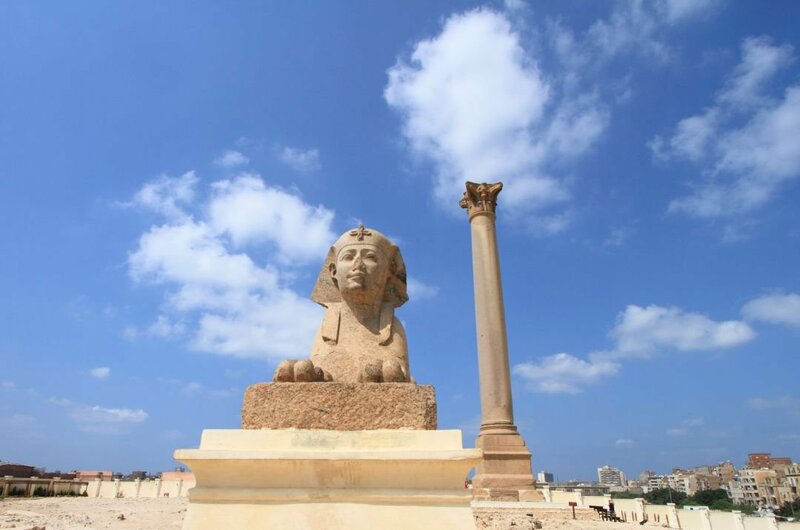 10 Situated on the Mediterranean Sea coastal region in Alexandria, take a sightseeing tour to Ras El-Tin Palace. It was once one of the serving President of Egypt’s official residents. During the Muhammad Ali Dynasty of Egypt and Sudan, it was a royal palace. It was in this palace that King Farouk signed his abdication papers in 1952. The Palace may not be open to tourists at the moment but the grounds are, and it is a great place to visit. The best time to go to Alexandria will depend on what you are going for. If it is a holiday for going on sightseeing tours, then the best months are January to May and October to December when the temperatures cooler and more comfortable. If it is a sun holiday beside the pool or beach then June to September is the time for you as it gets extremely hot. Check out when any festivals are taking place as they are entertaining times. It is estimated that the cost of food and accommodation per day, for the average tourist, is approximately $230, that is for a 3-star restaurant Brunch, Dinner and hotel room, during the peak season. Obviously, this will go down during off season. Private tours or sightseeing tours vary in price during the seasons, but they also vary between operators so do a bit of research when booking. The more expensive the tour does not mean it is better! Near the Cruise Port, there are vendors selling their wares, some of them are great, but there are the few that will bother and hassle you to buy from them. They can get a bit aggressive but do your best to ignore them. Always be aware of your surroundings at all time . It is important to know that Kissing another person in public is illegal, you won’t be arrested but Will be harassed. The weather during the months of May to September is very sunny and extremely hot with no rainfall whatsoever. Mid-March, April, October and November, the weather is cooler than the summer months but still pleasantly warm and sunny but there is the possibility of rain. December, January and February are cool but temperatures rarely fall below 15 degrees Celsius with more rain falling during these months. 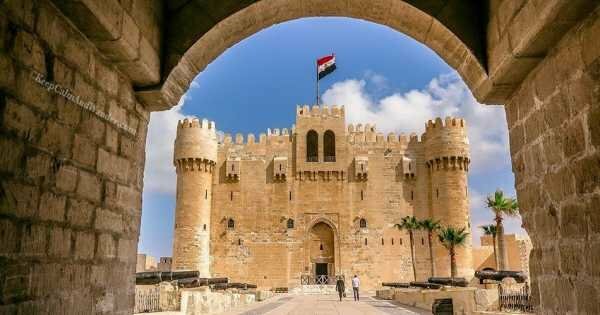 Pay a visit to Egypt's beautiful second city. 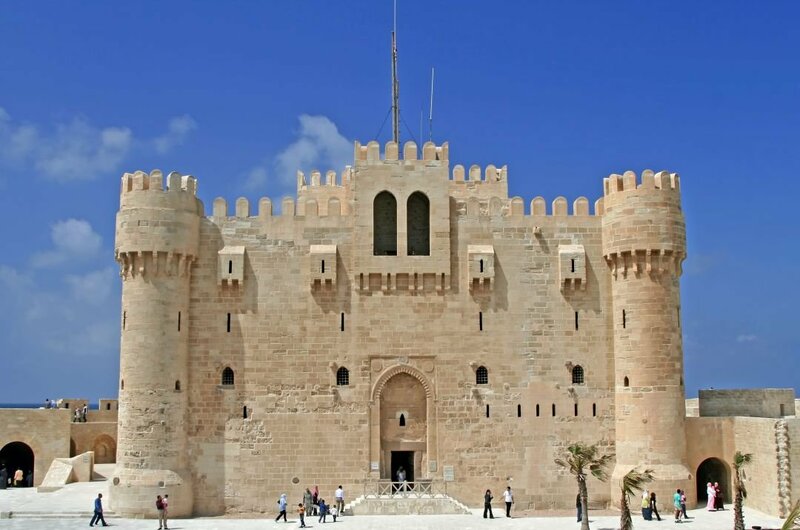 See rock-cut Roman catacombs, ruins of a Roman temple complex, and Qaitbey Citadel . 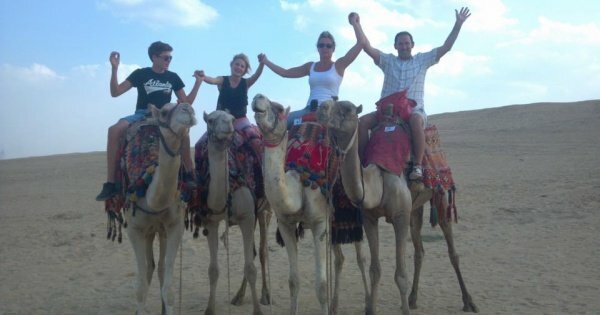 5 nights / 6 days in Cairo with Pyramids & Egyptian Museum! Visit the Catacombs of Kom El Shokafa, Roman Amphitheatre & Qait Bay Fortress. 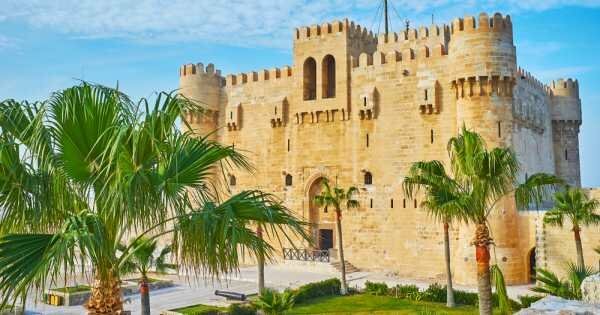 Visit Alexandria the capital of Graeco-Roman Egypt. Catacombs, Pompey's Pillar & Qait Bay. Visit Montazah Garden with its wonderful Palm gardens and trees! 4.3 out of 5 based on 4 reviews.